Clint Belmet’s parents were killed in a Comanche raid when he was young, but that hasn't stopped him from taking a job leading freight caravans on the old Santa Fe Trail, from Saint Louis, Missouri, to Santa Fe, New Mexicoa route that goes right through Comanche territory. Here is the raw, primitive West of the early pioneers, great caravans of freighters rumbling across the deadly prairies, risking attack by Comanche. 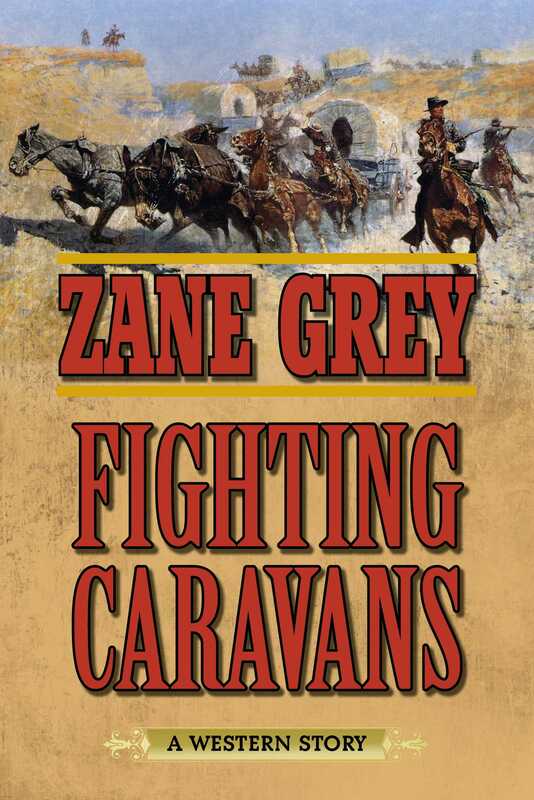 In this action-packed adventure from the greatest novelist of the American West,” twenty-eight wagons loaded with families, supplies, and tough-as-nails Texans are forced to circle up and fight for their lives against relentless assaults by Comanche who have been goaded on and tricked by raiders. When amid the constant battle Clint falls in love with the beautiful May Bell, he makes an enemy even worse than the Comanche. Lee Murdock wants Mary Bell to himself, not to mention the valuable supplies their caravan is carrying. Soon, Clint must face enemies inside the circled wagons as well as outside. Zane Grey details the amazing, electric, and bloody days that existed on the American Frontier. Fighting Caravans brings us the story of brave men and women who risk everything for a new life and opportunities, or for the adventure of the wild.